Liz Rhodes laughs while posing for photos before heading to prom. 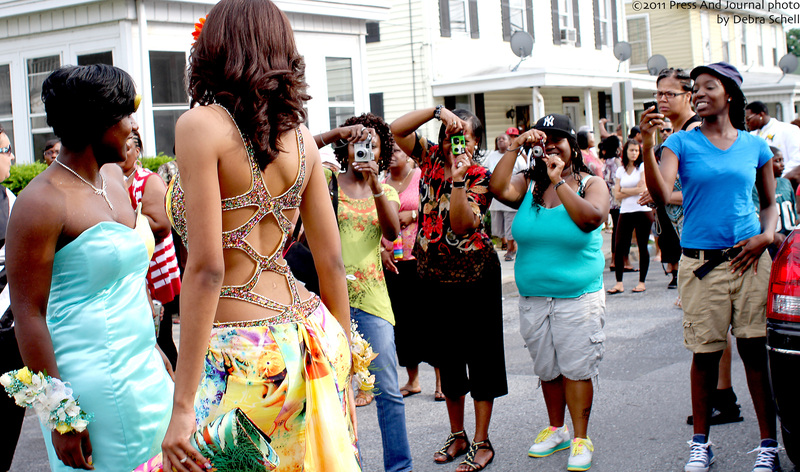 Steel-High Senior Cinnamon Brown adjusts her dress for photos before heading to prom. 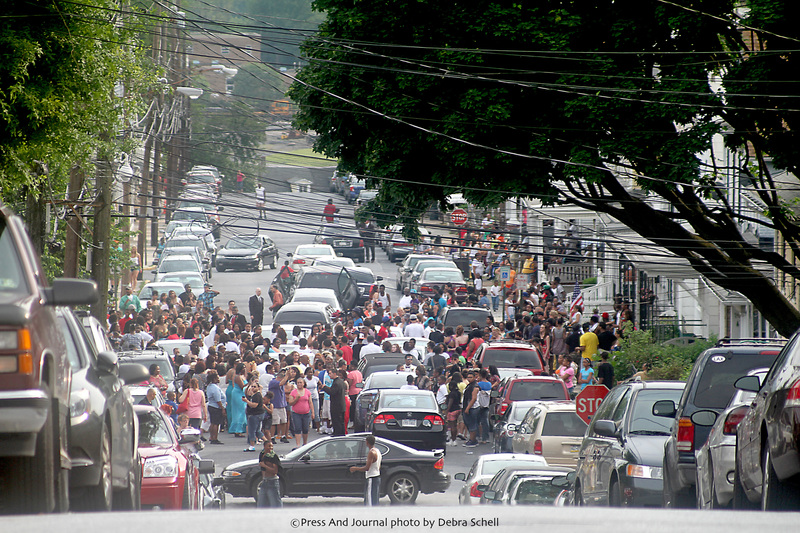 Friends and family take photos of prom-goers. 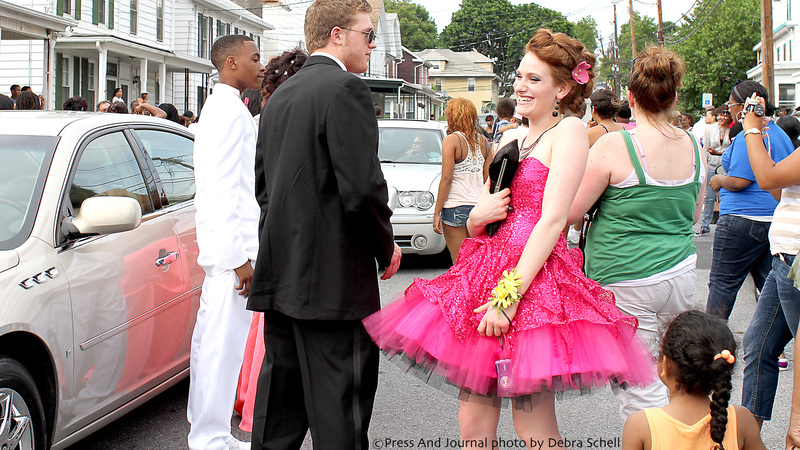 A prom night tradition in Steelton, the promenade along Lincoln Street in Steelton, gives prom-goers a chance to dazzle onlookers with their stylish dresses and flashy limos.